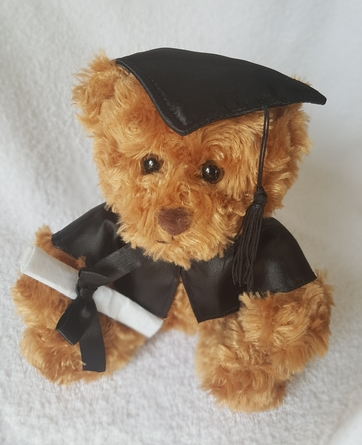 Beautiful graduation bear for that special occasion | Graduation Bears and Gifts at discount prices! 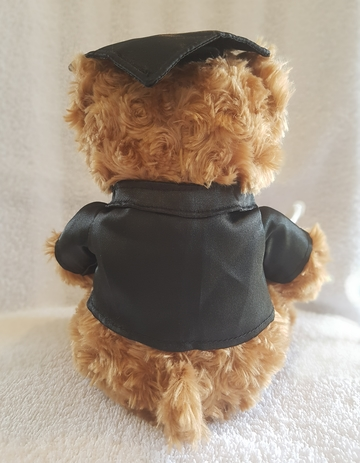 Black Outfit - This absolutely gorgeous bear is the jewel in our range. 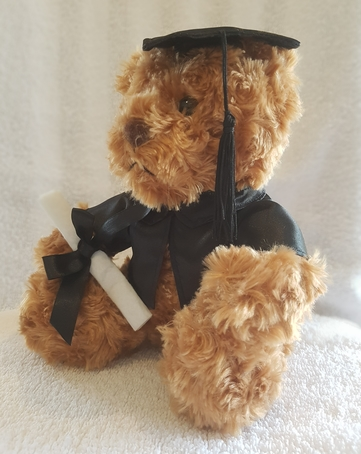 The bear wears a black satin graduation gown with black satin cap and tassel. 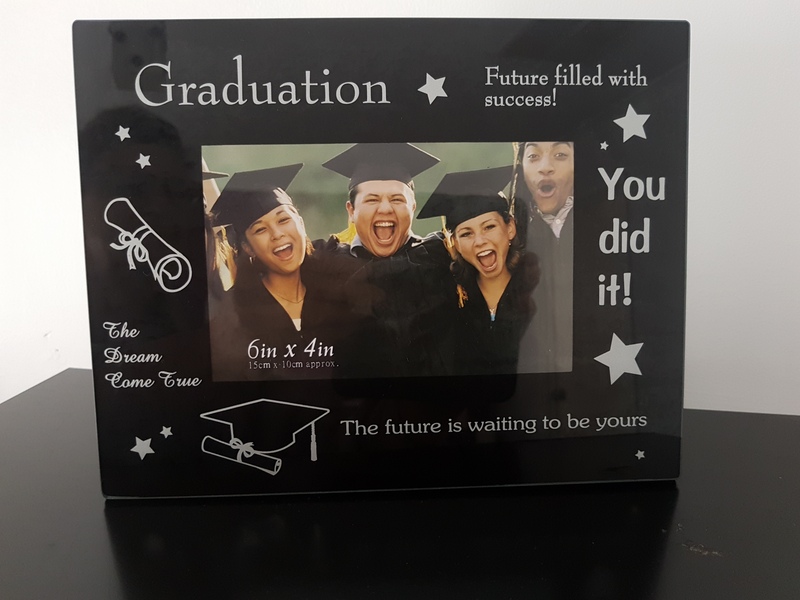 He proudly clutches a white felt graduation certificate tied with a black ribbon. 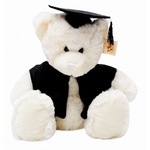 The bear can be purchased singly or in bulk quantities. A minimum purchase of 20 bears applies for a bulk discount.